Manga adaptation of the otome game Clover no Kuni no Alice that focuses on Elliot and Alice. In the country of Clover, romance blossoms between Elliot March and Alice. Elliot may have rabbit ears and a sweet smile to match, but as the second in command at Hatter Mansion, the headquarters of Wonderland’s mafia, he is a ruthless killer. Can Alice truly love such an adorable madman? 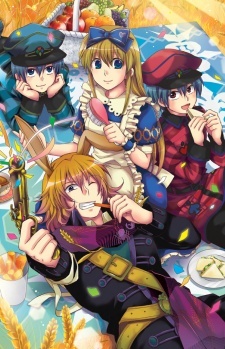 Clover no Kuni no Alice: Sangatsu Usagi was published in English as Alice in the Country of Clover: March's Hare by Seven Seas Entertainment on March 4, 2014.